9 Ways to Secure Your Home on a Budget - Yetter Insurance Agency, Inc.
More than 2 million burglaries occur each year in the United States—that’s one every 15 seconds—but there are ways to protect yourself, your family, and your belongings without breaking the bank. Before you dole out big bucks for a top-of-the-line security system, check out these tips to keep your home secure on a budget. Many municipal police departments will provide complimentary home inspections to check the security of your house. During their inspections, they will point out potentially vulnerable areas, and provide you with tips on how to strengthen your home’s security. This can be done with another member of your family, but it works better with a neighbor or a friend who isn’t regularly in your home. Allow your friend or neighbor to spend about 10 minutes trying to find and collect anything they consider to be valuables, and then see if they can find and access your important valuables. Anything they present at the end of the 10 minutes that is genuinely valuable or of special attachment needs to be better hidden or locked away. Many people don’t realize that their tool shed may provide a burglar with the exact tools needed to break into their house. By keeping the tool shed locked and keeping things like ladders put away, you’re not providing any extra help to the person trying to break into your house. An emergency key is a great thing to have in case you get locked out of your house, but we know your hiding places and so do burglars. Under the mat, in the fake rock, above the door jamb… unless you can be ingenious and original with your hiding place, then give your spare key to a trusted neighbor to hold on to for you. Window stickers and yard signs for security systems deter would-be burglars almost as well as an actual security system. You can buy the stickers and yard signs online from third-party vendors, or you could ask a friend who has a security system if they have any extra stickers or signs that they didn’t use. Also, a “Beware of Dog” sign will make a burglar think twice before breaking into your house, whether you have a dog or not. Motion sensor lights are relatively inexpensive and can scare off a would-be intruder approaching your house at night. Most burglaries occur when the house appears to be empty, so it’s best if your house looks occupied at all times. Light timers should be set to turn lights on and off while you are out of the house to make it appear that someone is home. By installing light timers, you can effectively deter most burglars from attempting to enter the house. The timers are an especially efficient method while away on vacation but work while you’re away for short periods of time (like work or a shopping trip) as well. You can also use a light timer to control your television, which can add to the illusion that you’re home when you’re not. Make sure that the locks on all of your doors and windows are working and in good condition. Most burglars will only spend about 60 seconds trying to enter a home, so if your locks are all working and in good condition, most intruders will give up before getting into your house. Doors do get kicked in, and windows get broken, but statistically it is rare for a burglar to enter in that manner. Make sure that everyone in your house knows the security measures and does their part in maintaining them. Make sure that everyone closes and locks all doors and windows before leaving the house, even if they’re leaving for just a little while. Depending on your plan, making security improvements to your home can lower the premiums on your homeowners insurance. For more tips on how to secure your home, or to discuss your possible savings, please contact your Yetter insurance agent by calling (570) 296-8329, or visit http://yetterins.com/. Yetter Insurance Agency is a family-owned business, located in Milford, PA, that offers a variety of homeowners insurance options for Pennsylvania and New York residents. 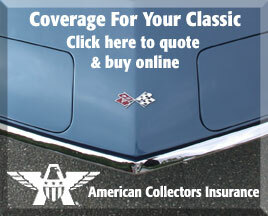 Yetter has been a leading insurance agency in Pike County, PA since 1972. We offer plans from top-rated carriers that fit every need and budget. If you’re interested in expanding or changing your coverage, please contact one of our skilled agents today. For more information, please visit http://yetterins.com.